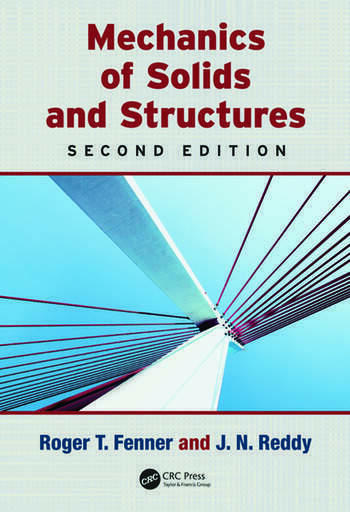 A popular text in its first edition, Mechanics of Solids and Structures serves as a course text for the senior/graduate (fourth or fifth year) courses/modules in the mechanics of solid/advanced strength of materials, offered in aerospace, civil, engineering science, and mechanical engineering departments. Now, Mechanics of Solid and Structure, Second Edition presents the latest developments in computational methods that have revolutionized the field, while retaining all of the basic principles and foundational information needed for mastering advanced engineering mechanics. 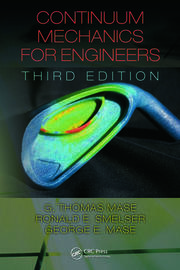 Key changes to the second edition include full-color illustrations throughout, web-based computational material, and the addition of a new chapter on the energy methods of structural mechanics. Using authoritative, yet accessible language, the authors explain the construction of expressions for both total potential energy and complementary potential energy associated with structures. They explore how the principles of minimal total potential energy and complementary energy provide the means to obtain governing equations of the structure, as well as a means to determine point forces and displacements with ease using Castigliano’s Theorems I and II. The material presented in this chapter also provides a deeper understanding of the finite element method, the most popular method for solving structural mechanics problems. Integrating computer techniques and programs into the body of the text, all chapters offer exercise problems for further understanding. Several appendices provide examples, answers to select problems, and opportunities for investigation into complementary topics. Listings of computer programs discussed are available on the CRC Press website. "Each topic is introduced in a careful and systematic manner, developing complexity gently, so that it nurtures and develops a joy for structural systems and the contemporary tools used to solve structural engineering challenges."